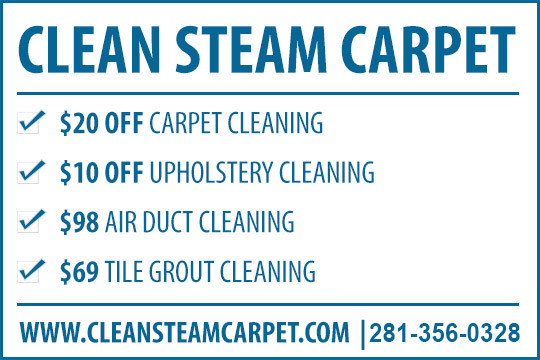 Clean Steamer Carpet provides carpet, rug, tile, grout, air duct and vent cleaning services to the following metro areas: Alvin, Baytown, Bellaire, Channelview, Conroe, Crosby, Cypress, Dayton, Deer Park, Dickinson, Fresno, Friendswood, Highlands, Houston, Huffman, Humble, Katy, Kingwood, La Marque, La Porte, League City, Liberty, Manvel, Missouri City, New Caney, Pasadena, Pearland, Porter, Richmond, Rosharon, Santa Fe, Seabrook, South Houston, Splendora, Spring, Stafford, Sugar Land, The Woodlands, Tomball and Webster. We are a carpet steam cleaning and restoration company serving the Greater Deer Park area. We strive to provide our clients with the best service possible. We are the experts in the cleaning and restoration of carpet, rugs, upholstery and hard surface flooring. We use top-of-the-line truck mounted carpet steam cleaning equipment to insure that each and every customer is 100% satisfied with their carpet cleaning services. We strictly follow the cleaning procedures recommended by the carpet manufacturers. We use only high quality cleaning products and are constantly educating ourselves and our technicians to insure we are offering the best available carpet cleaning service to our customers. Whether you are looking for a carpet cleaner in Deer Park, a grout cleaning company in Deer Park or someone to clean the fabric on your furniture in Deer Park, we can handle all of your steam cleaning needs! We understand the importance of having a clean, healthy home. The quality of work you can expect from us is what sets us apart from other Deer Park carpet cleaning companies. We are committed to providing you the same level of service we would want in our homes and the homes of our families. Our team can restore the beauty and extend the life of your favorite upholstered furniture. We get your upholstery deep down clean and fresh, bringing back the vibrant color and beauty. Upholstered furniture uses more varied materials and methods of manufacture than carpet. One cleaning process will not work on all upholstered furniture. Special considerations such a color fastness and dimensional stability of the fabric must be made. We will provide the cleaning process that's right for your particular upholstered fabric. Our exclusive process begins with an all natural, hypo-allergenic pre-spray being applied to the carpet that begins to emulsify and break up the dirt and soils. Then, we use 200-degree water, a deep-cleaning solution and powerful suction that extracts deep-down dirt and 95% of the moisture for fast drying time. It also removes dust, mites, allergens and other microscopic pollutants that collect in your carpet and that trigger allergies and other breathing problems. 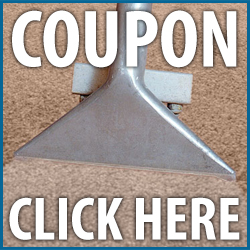 There is nothing more difficult than choosing the right carpet cleaning company. There are many different companies using many different methods. With so many options, how do you make the right choice? We are here to help.